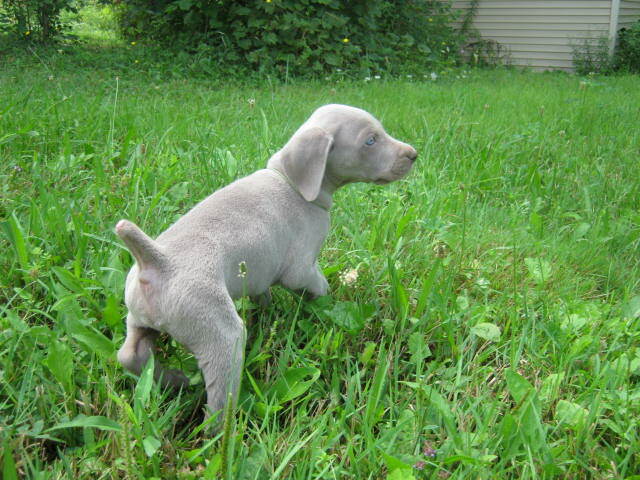 WOW is this Green Collared Male a NICE Gunnar son. 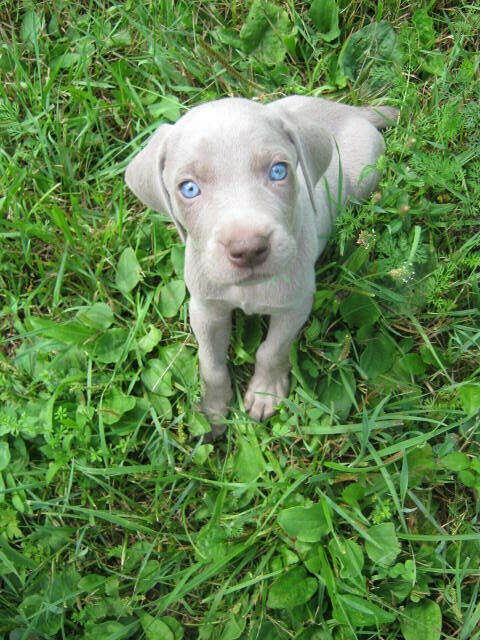 He has stunning eyes and is another super sized Weimaraner. 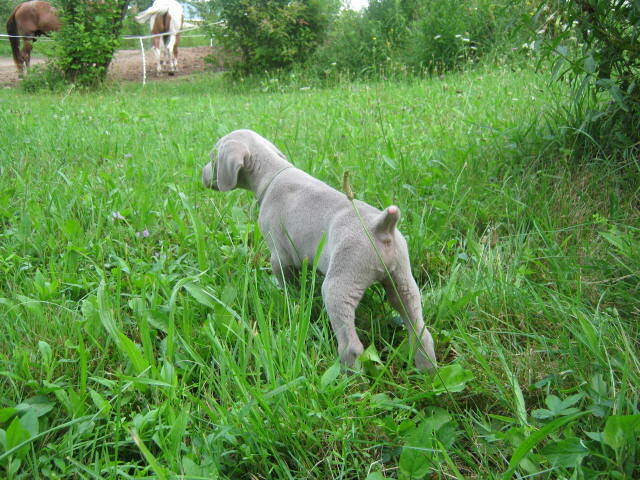 He has his sires HUGE bone structure and lovely conformation. 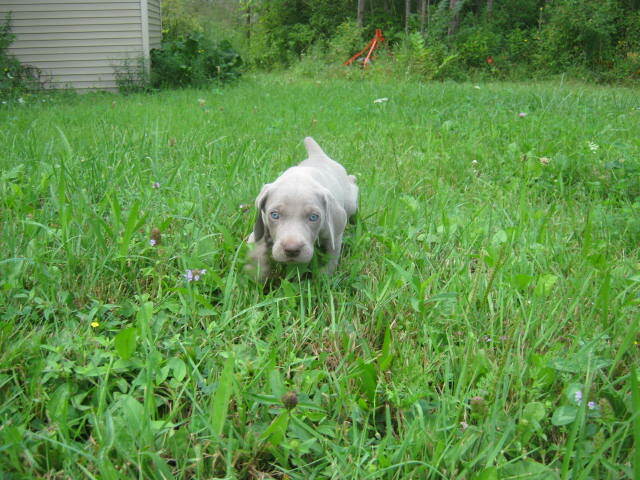 He is also one of the lightest Silver Grays of the litter. He also likes to snuggle just like his parents!